Hainan opened a second duty-free store on Wednesday, following the success of the first, which since April has boosted domestic tourism to the province in South China. The new store is located inside Meilan International Airport in Haikou, the provincial capital of the tropical island. As in the first duty-free store, in south Hainan’s Sanya, domestic visitors are allowed to spend up to 5,000 yuan ($794) a visit and make two duty-free shopping trips a year. Hainan residents are permitted one additional shopping trip. Tan Li, vice-governor of Hainan, said the opening of the Haikou store will "create competition in the duty-free market, and thus improve the quality of service. The new store will also benefit the development of Hainan’s economic growth". A new State-owned company, Hainan Provincial Duty Free Co, was established to operate the store. Previously, the owner of the Sanya duty-free shop, China Duty Free Group, was the nation’s only company authorized to operate duty-free shops. The Sanya store had sales volume of more than 800 million yuan in the past eight months. The number of tourists visiting Sanya was 1.5 times more than that of Haikou from January to October, Tan said. Because the Sanya store is outside the airport, travelers pay for the goods they purchase at the store and receive them later, at the airport, when they are leaving the city. As the Haikou store is inside the airport, shoppers receive their purchases immediately. "The opening of the Haikou store will address the imbalance in tourism development in Hainan province, and the more-convenient purchasing will boost the new store’s sales volume," he said. 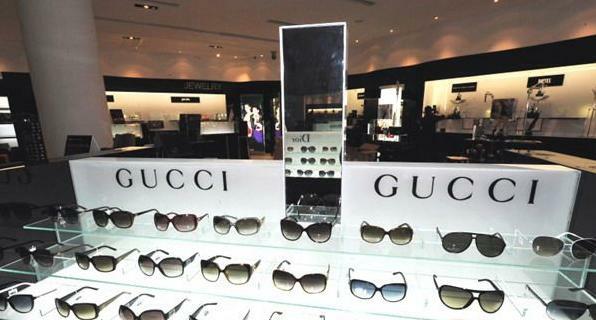 Du Wei, president of the Hainan Provincial Duty Free Co, said the airport duty-free store has more than 10,000 kinds of luxury goods for sale, including jewelry, bags, perfume, eyeglasses and candy. "The prices will keep in pace with those at the Sanya duty-free store and be no higher than similar products in Hong Kong," Du said. Because shoppers pay no customs duties, value-added taxes and consumer taxes, products at the store cost 30 to 40 percent less than those sold in mainland stores, Du said. An earlier report of Securities Times said that Hainan officials had announced that the right to open new duty-free stores would be left exclusively to Hainan Provincial Duty Free company. Du confirmed that news to China Daily on Wednesday. "The Sanya store will still be operated by China Duty Free Group, but Hainan Provincial Duty Free will be in charge of the stores in the province," Du said. He said more duty-free stores are being planned.